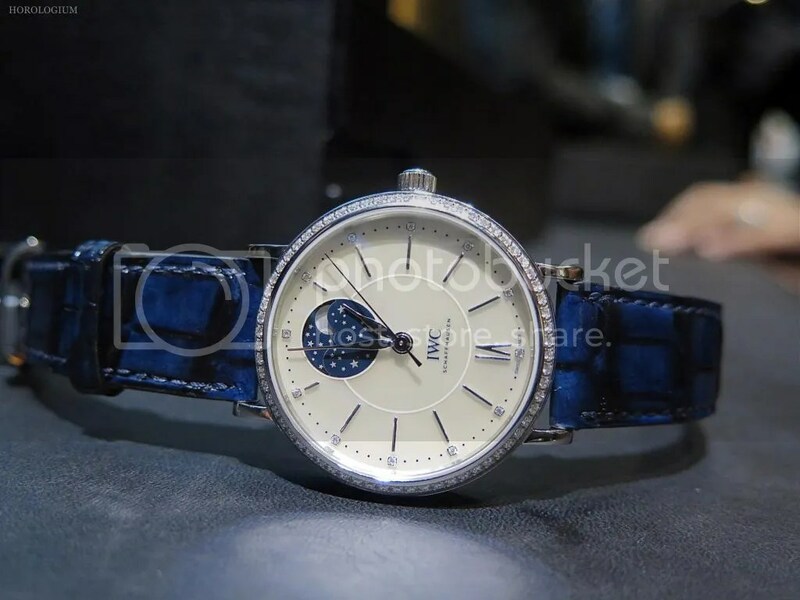 Thirty years after the model was first launched, Watches & Wonders 2014 saw the (re) launch, by IWC of the Portofino Midsize Collection. 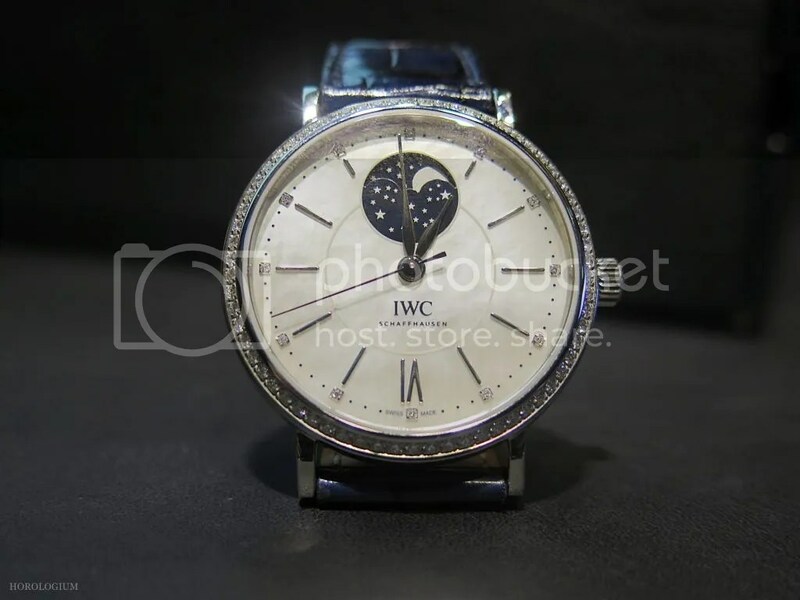 Never ones to do anything by half measures, the launch was done in typical IWC fashion complete with a film shot in the eponymous place, photo portraiture by Peter Lindbergh, and a booth with larger than life photographs of the IWC brand ambassadors chosen to promote the Portofino. 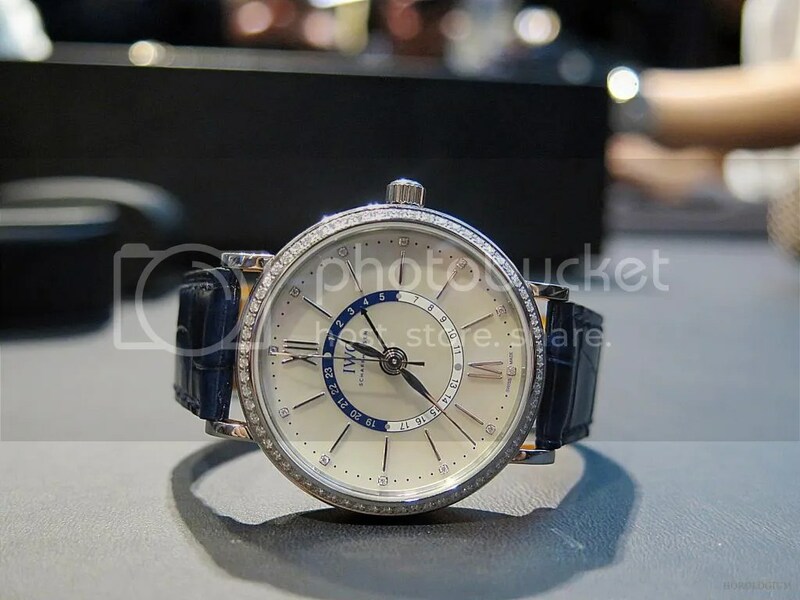 With seventeen new models in 37mm and 40mm sizes (three in the latter, in 18-carat RG/ WG set with 72 diamonds, slate or silver-plated dials) and including diamond bezels, moonphases, night/ day indicators and more, I will get straight to the point that many have been discussing – namely, are these women’s watches? 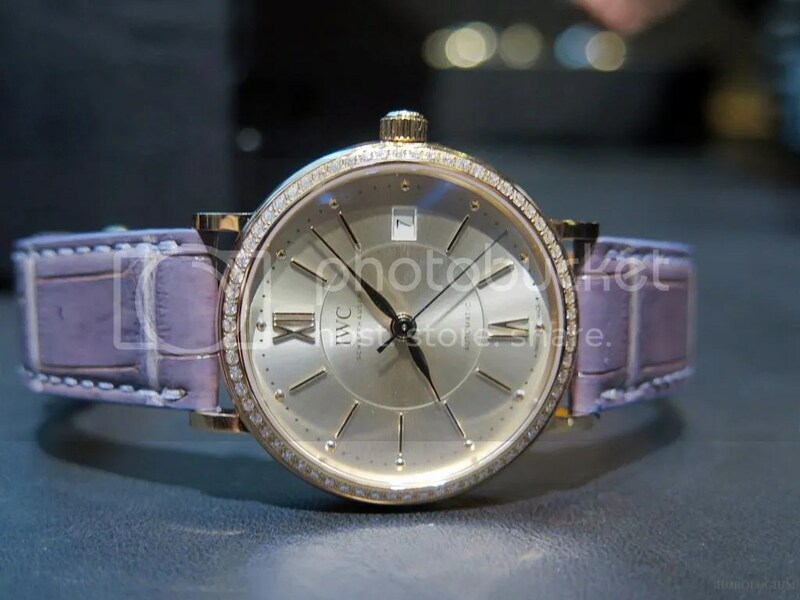 You may recall that earlier this year I asked Mr. Hannes Pantli about whether IWC would do women’s watches, and you can read his answer here. 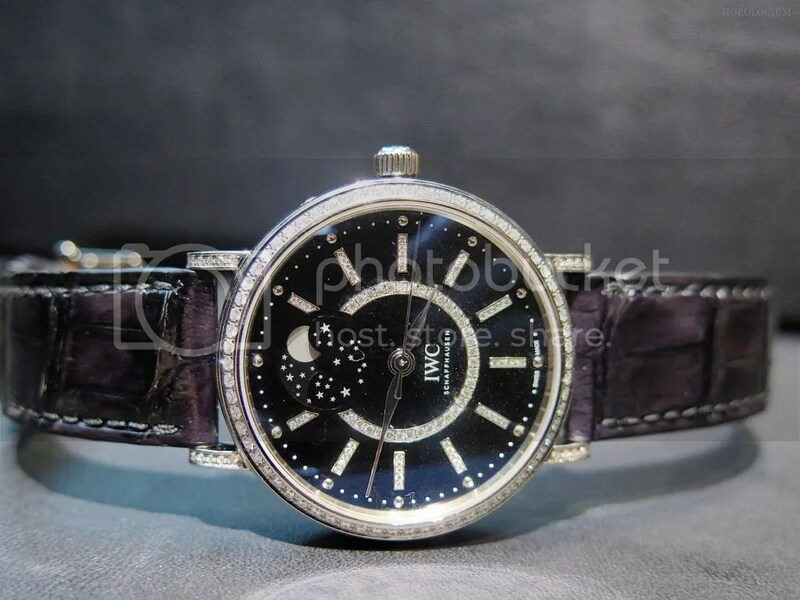 Now there is no denying that there are some who find the other IWC collections too large for their wrists, just as there is no denying that there are plenty of women who wear men’s IWCs and men’s watches. So many in fact, that perhaps people should think about it as a ‘thing’. 37mm and 40mm sized watches, in terms of pure size, do fall, in my view, into a ‘midsize’ category. Beyond that, it’s all about labelling and perception, isn’t it? 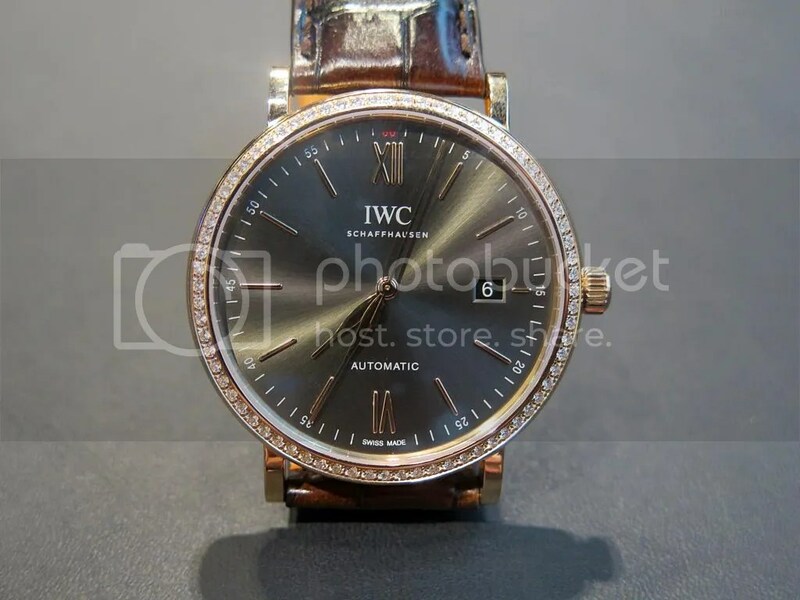 There is one brand of note that does not divide its watches up into gendered collections, and perhaps, despite the dominance of female ‘IWC faces’ promoting these watches, most of the models can be seen simply as being for anyone who likes them and wants to wear them. With so many new models there are certainly enough variations to appeal to a wide range of tastes – four core models in red gold, six in stainless steel, and each available with a diamond-set bezel or jewelled index markers. 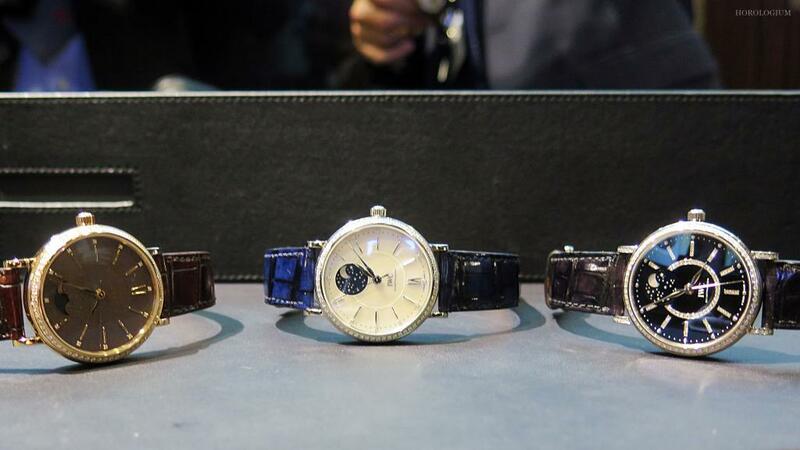 There’s also a 37mm model with a mother-of-pearl dial with twelve diamond markers and a diamond bezel. The flagship in the new Portofinos is, unsurprisingly, the moonphase function, using the automatic Calibre 35800 self-winding movement with a 42-hour power reserve. An important feature of the past Portofino models, the new moonphase function comes in a few options, including a RG case set with 90 diamonds with a further 84 diamonds on a black laquer dial, or a RG model with 66 diamonds set in the case and 12 on a black or white mother-of-pearl dial. The new Portofino Midsize Automatic Day & Night with has a 24-hour day/night display and a second time zone (below) is of particular note, with its easily-read time zone indicator, diamonds and clean elegant design being, dare I venture, unisex. 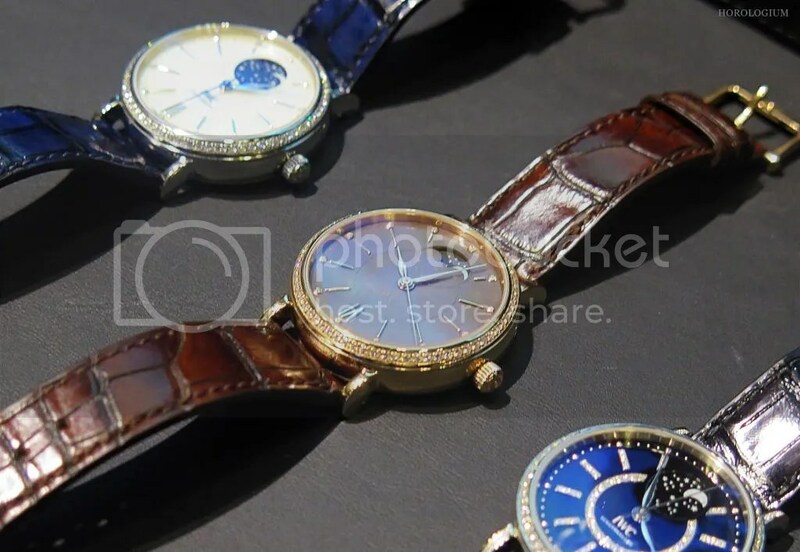 All but two models in the new collection feature Santoni alligator leather straps in a myriad of colours that are produced exclusively for IWC by the shoe manufacturer. The others are on a Milanese bracelet. 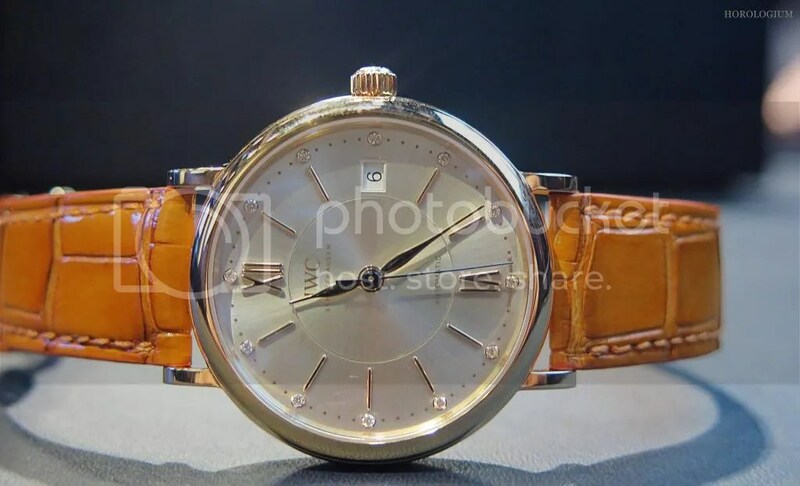 How the marketing for the new Portofinos pans out, how it is written about pans out, is anyone’s guess; I have seen people referring to them as women’s watches and as for men and women. Perhaps the key is not to get too hung up on labels. 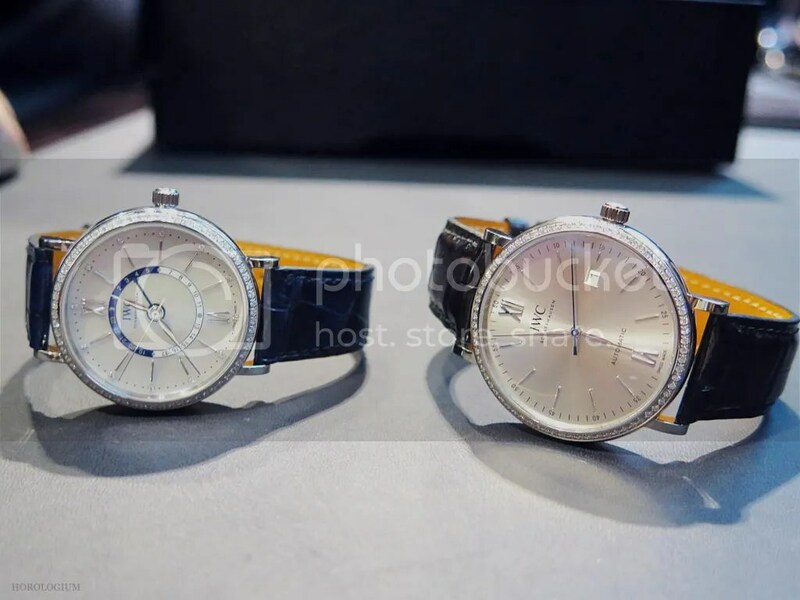 At 37mm and 40mm, these are sizes that are mid-sized, that will appeal to a wide spectrum of people who simply prefer dress watches to be in this zone. Perhaps it’s also time that IWC revisits their tagline. 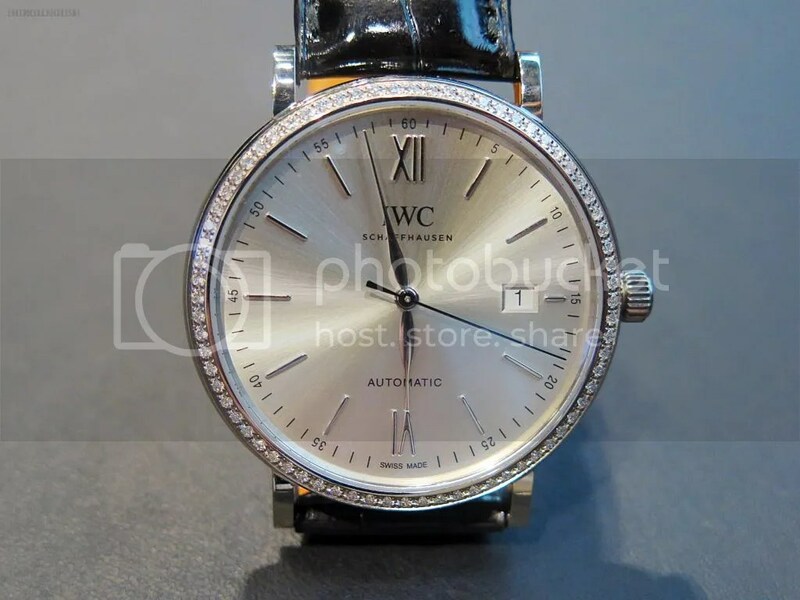 If for no other reason than I have a younger sister who has been wearing a small ‘women’s IWC’ for many years now.